SUVA – Fijian Prime Minister Josaia Voreqe Bainimarama led the launch of the branding and mandatory compliance protocol process for Fiji Pure Mahogany, which ensures sustainability, legality, and the socially responsible use of this new hardwood brand. Fiji Pure Mahogany will also fill the global need for an exceptional quality of legally and sustainably harvested mahogany. The brand is being filed in approximately 28 countries throughout the world to protect the intellectual property rights for the first brand to be beneficially owned by a sovereign nation—Fiji. This brand and the mandatory and enforced protocol will ensure compliance with the numerous environmental laws, including the United States Lacey Act. Attendees at the event, which took place at the Sustainable Mahogany Industries factory in Fiji (the first company granted a license to use the Fiji Pure Mahogany brand) included: United States Ambassador to Fiji Frankie Reid; Henry Juszkiewicz, Chairman and CEO of Gibson Guitars; Pembroke Jenkins, past President of the U.S. Hardwood Manufacturers Association; Sustainable Mahogany Industries owner John Wagner; and members of the Fijian landowning units. Attendees toured the entire processing facilities, witnessing first-hand the protocols governing chain of custody for Fiji Pure Mahogany. The Bainimarama Government has been working diligently to create this new standard for the mahogany industry. In March 2010, the Fijian Government passed the Mahogany Industry Development Decree, which made Fiji Hardwood Corporation Limited a forestry management company, and established the Mahogany Industry Council to license mahogany purchasers and sawmill operators, and direct the development of the industry. Only four years ago, Fiji re-planted zero mahogany trees; today, more than 1,000 hectares of mahogany have been replanted. 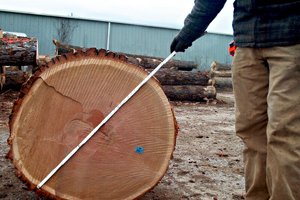 The Mahogany Industry Licensing & Branding Decree was passed on 13 December 2011. This Decree established the chain of custody protocols; harvesting code of practice; minimum production and packaging standards; inspections and audits standards; certificate of legality standards; safety standards; and penalties for violations of the protocol. Filing of appropriate legal recognition of the Fiji Pure Mahogany brand is underway in 28 countries, including Argentina, Brazil, Canada, China, European Union, and Hong Kong. 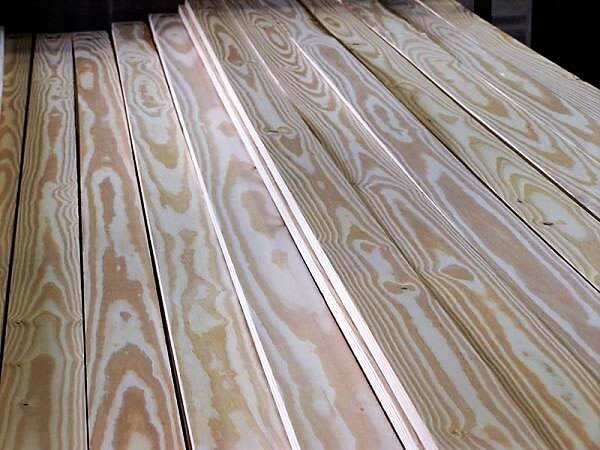 Currently, Fiji has committed to sales of the sustainable volumes of grades 1 and 2 mahogany to Sustainable Mahogany Industries Ltd., which produces the bodies and necks of Gibson Guitars. Applications for licenses to purchase Grades 3, 4, and 5 mahogany are currently being reviewed. The move by the Fijian Government to create this much-needed mahogany brand standard has been roundly praised as unique and welcomed. Corruption and mismanagement of mahogany resources around the world has led to a breakdown in the supply chain. Fiji is positioned to fill the void.